1/2 Off Security Deposit and No Last Month Up Front! *On Approved Credit, Call today for more details. Beacon Square offers spacious studio apartment homes in a prime Chicopee location. Our community is conveniently located just minutes from all your shopping, dining and entertainment needs! Contact us today to tour one of our beautiful apartment homes, or for more information on living at our community! Beacon Square Studio apartments offer a spacious and modern living space, with updated kitchens, new appliances and granite-style counter tops. 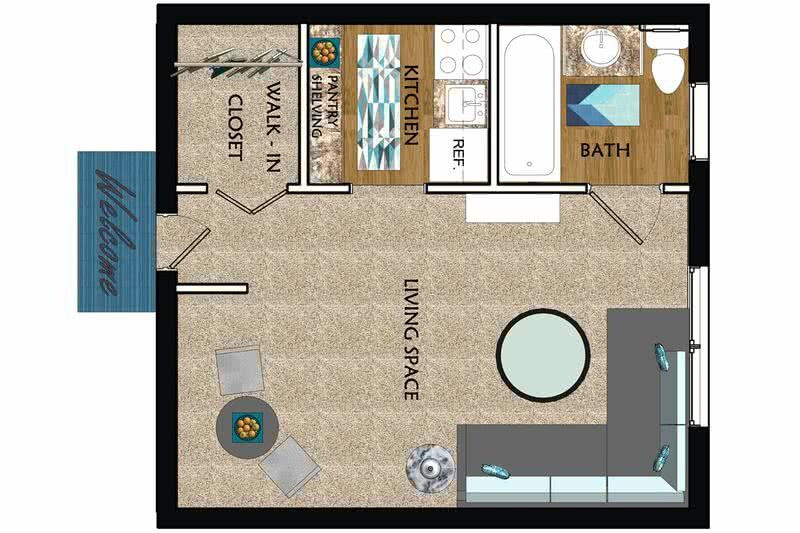 Our apartments also feature a walk-in closet with custom organizers, as well as a full size bathroom with shower/tub and an oversized mirrored vanity. Looking for amenities? Let's start with free heat, hot water, expanded cable and internet! Beacon Square is proud to be one of Chicopee's only pet-friendly apartment communities. We have an off-leash dog park that your furry family member is sure to love! Also, for your convenience we have several pet stations set up throughout the meticulously maintained grounds to help you care for your pet while out on walks. As a valued resident of our apartments, you'll also benefit from 24-hour emergency maintenance, 24-hour on-site laundry facilities, off-street parking, on-site professional and friendly management staff and much more! The location of our Chicopee apartments for rent can't be beat! Beacon Square efficiencies are located in the heart of Chicopee, Massachusetts right on Memorial Drive and minutes to local shopping, restaurants, banks, coffee shops, and major highways, including I-90, I-391, I-291 and I-91. 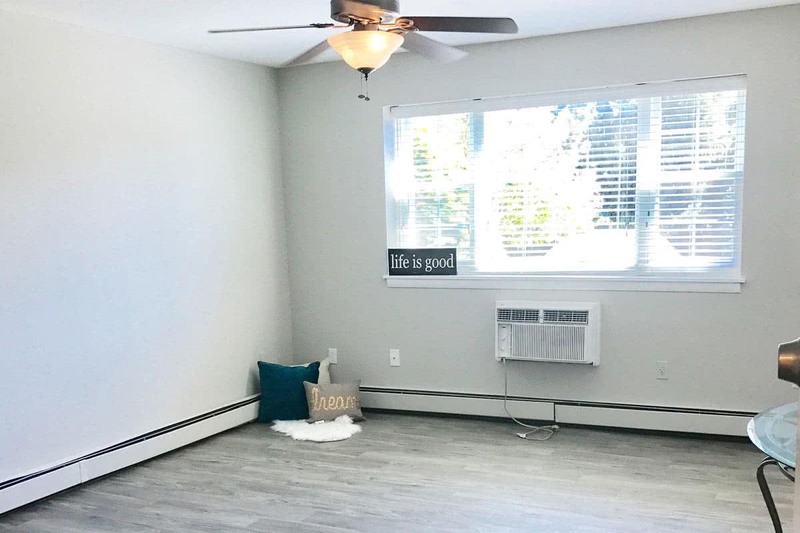 We're centrally located to all the local areas making Beacon Square Studio Apartments in Chicopee, MA an ideal rental option for those attending Mt. Holyoke College, Elms College and Holyoke Community College as well as those working in the Greater Springfield area including Westover Air Reserve Base, Mass Mutual Insurance, Baystate Medical and Mercy Medical. We are also just a short drive to the brand new MGM casino in Springfield, MA with plenty of entertainment options to choose from!